Saturday saw an estimated 800,000 people march in DC against gun violence in support of the students from Marjory Stoneman Douglas High School and other schools around the U.S. where gun violence has taken place. This National Geographic piece has some photos of marches worldwide. 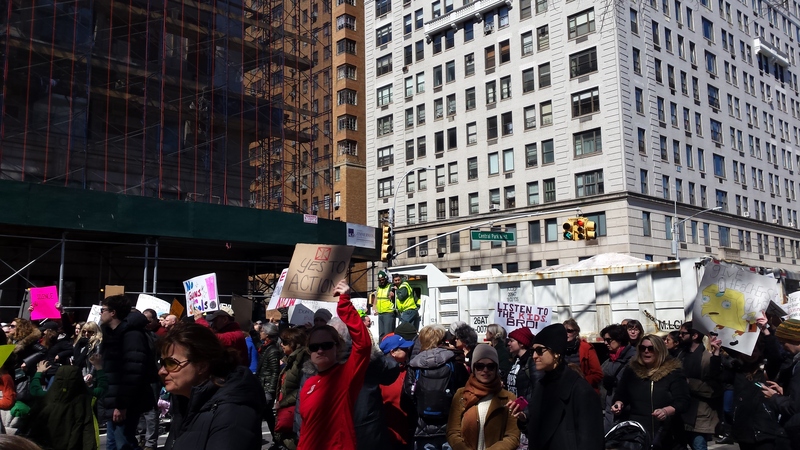 My family and I were in New York on Saturday visiting with friends from Sweden, but that didn’t prevent us from marching there. This week’s Featured Peacebuilding Group is March for Our Lives. A movement is upon us the reduce the availability of guns and make society safer. Reducing gun violence is clearly a peacebuilding issue. Click here or below for more information on March for Our Lives.